G. P. Putnam's Sons, 9780399247095, 275pp. Ida Mae Jones dreams of flight. Her daddy was a pilot and being black didn t stop him from fulfilling his dreams. But her daddy's gone now, and being a woman, and being black, are two strikes against her. When America enters the war with Germany and Japan, the Army creates the WASP, the Women's Airforce Service Pilots and Ida suddenly sees a way to fly as well as do something significant to help her brother stationed in the Pacific. But even the WASP won t accept her as a black woman, forcing Ida Mae to make a difficult choice of passing, of pretending to be white to be accepted into the program. Hiding one's racial heritage, denying one's family, denying one's self is a heavy burden. And while Ida Mae chases her dream, she must also decide who it is she really wants to be. Sherri L. Smith was born in Chicago, Illinois and spent most of her childhood reading books. She currently lives in Los Angeles, where she has worked in movies, animation, comic books and construction. Sherri s first book, "Lucy the Giant," was an American Library Association Best Book for Young Adults in 2003. The Dutch translation, "Lucy XXL " (Gottmer, 2005), was awarded an Honorable Mention at the 2005 De Gouden Zoen, or Golden Kiss, Awards for Children s Literature in the Netherlands. Sherri s novel, "Sparrow," was chosen as a National Council for the Social Studies/Children s Book Council Notable Social Studies Trade Book for Young People and is also a 2009 Louisiana Young Readers Choice Award Nominee. Upon the release of "Hot, Sour, Salty, Sweet " in February 2008, Sherri was featured as a spotlight author for The Brown Bookshelf's Black History Month celebration, "28 Days Later." 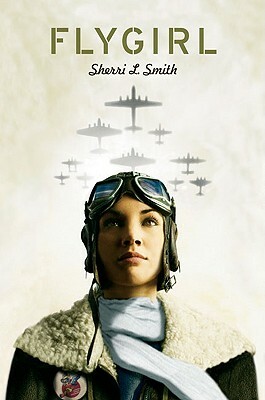 "Flygirl," an historical YA novel set during World War II, is her fourth novel. " Cloudberries, " Ladybug Magazine (2001)"Lucy the Giant " (2002)Various stories, "Bart Simpson Comics " (2002)"Sparrow " (2006)"Hot Sour, Salty, Sweet " (2008)"Flygirl " (January 2009)"